"Wayne Bolland. Large format full colour paperback. 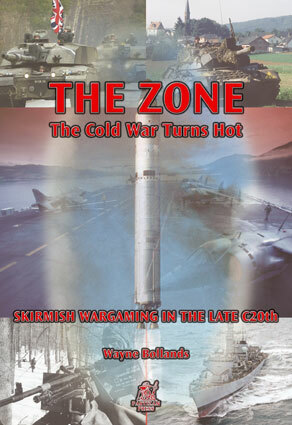 Based on the highly playable rules devised for the Winter of 79 British Civil war series by Mike Bradford. Squad level gaming, 15mm-28mm and above NATO Vs WARSAW PACT IN THE 198Os"